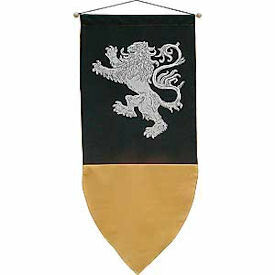 A glistening silver Rampant Lion has long adorned the coat of arms of royal and noble families. Now you can add a special royal touch to your decor, too! A black top panel is coupled with a bright gold bottom to make a bold statement.